WASHINGTON —The Department of Homeland Security (DHS) Federal Emergency Management Agency (FEMA) National Continuity Programs’ Integrated Public Alert and Warning System Division has begun to assess the feasibility of a public alert and warning capability that is being developed in the private sector. New technologies could deliver detailed emergency information to the public with pictures and videos of evacuation routes, storm tracks, and shelter information – increasing community preparedness before, during, and after a disaster. The media alerts will be able to include multilingual and multi-format information to warn non-English speaking populations and people with access and functional needs. One such technology being considered is the Advanced Warning and Response Network (AWARN). AWARN works by using advanced capabilities in the next generation of digital television broadcast system called ATSC 3.0 being standardized by the Advanced Television Systems Committee. The emerging television broadcast standard provides for the transmission of large media rich, data messages over-the-air to mobile, portable, and fixed television and video devices without interrupting ongoing television shows. FEMA’s IPAWS is a national system for local alerting. IPAWS enables authorities at all levels of government to alert and warn people in areas endangered by disasters. IPAWS is used by federal, state, and local authorities to send emergency alerts to cellular phones as Wireless Emergency Alerts (WEAs), to radio and television as Emergency Alert System (EAS) broadcasts, to NOAA Weather Radios, and to an All-Hazards Alert and Information Feed for Internet applications, services, and websites. 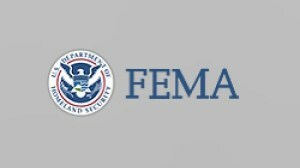 For more information on IPAWS, go to www.fema.gov/ipaws. Follow FEMA online at www.fema.gov/blog, www.twitter.com/fema, www.facebook.com/fema and www.youtube.com/fema. Also, follow Administrator Craig Fugate’s activities at www.twitter.com/craigatfema.